Sometimes caring for a cat isn’t all about taking cute selfies together on your phone and enjoying warm hugs and snuggles on the couch. If you notice something like blood in your cat’s urine–known as hematuria–it’s not just shocking. It can also make you downright terrified for your kitty’s health. Odd, concerning symptoms can come from icky health issues like, say, a urinary tract infection (UTI) or other bladder issues. When you see blood when your cat goes potty, it’s definitely time for a visit to the veterinarian to find out what’s wrong. That said, you’ll be relieved to know that most issues that cause blood to appear in feline urine are easily treatable and resolve quickly. 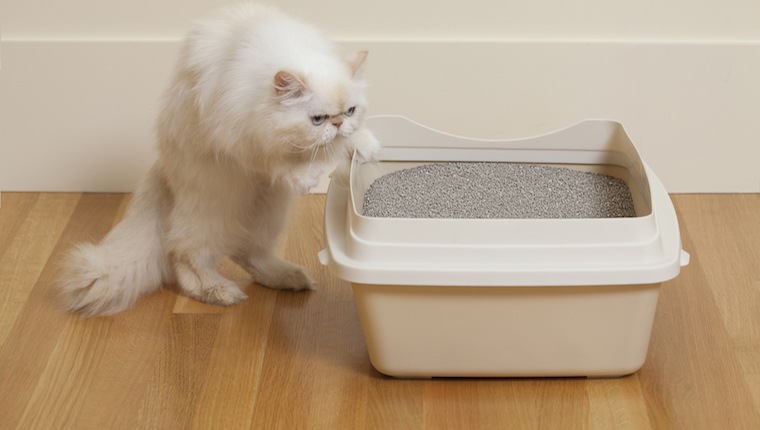 Here’s what you need to know if you spot some blood in your cat’s urine. 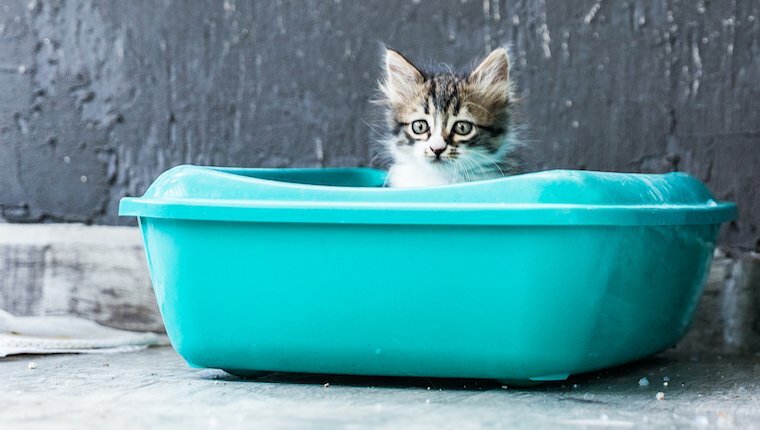 What Can Blood In A Cat’s Urine Signify? In young, otherwise healthy cats, bloody urine is usually a symptom of something called idiopathic cystitis. 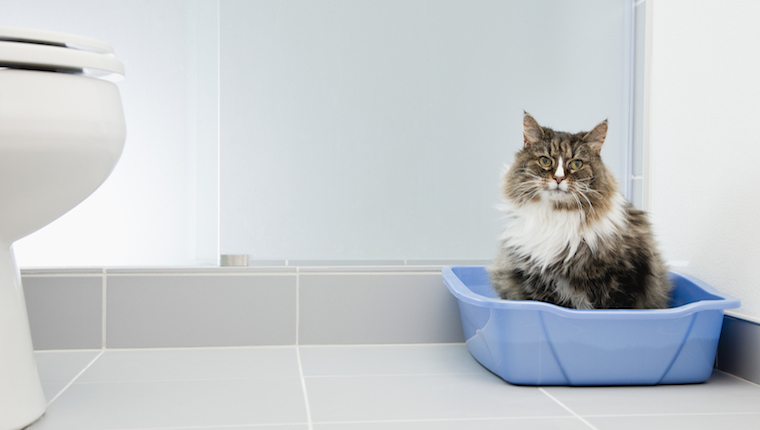 This is more commonly referred to as feline lower urinary tract disease (FLUTD). It’s important to know that it’s not truly a “disease” in the traditional sense of the word. It’s a group of clinical signs that represent an inflammatory syndrome of unknown cause. What Are The Symptoms Of Feline FLUTD? urinating very small amounts more frequently. How Does A Vet Diagnose FLUTD? Diagnosis is mainly a process of ruling out other causes of the symptoms. The most common first test a veterinarian will run is a urinalysis. Depending on the duration and severity of the cat’s clinical signs, tests may also include urine culture, x-rays, and abdominal ultrasound. What Treatments Are Available For FLUTD? Vets typically prescribe a course of antibiotics for two to four weeks if they determine a bacterial infection is causing blood to appear in the cat’s urine. Although antibiotics will not treat all feline urinary tract infections, there are other treatments that can help. The main treatments are pain relievers, fluid therapy, and medication to reduce urethral spasm. 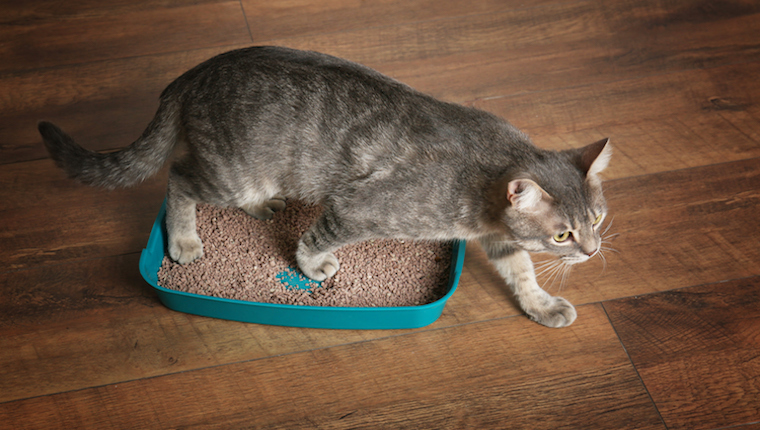 These can all alleviate the feline’s discomfort and restore their normal litter box use. Vets may also prescribe dietary changes, recommend more water intake, and prescribe anti-inflammatory drugs. In rarer cases of urethral blockage, the vet can flush the cat’s urethra to clear the obstruction. If bladder stones are present, special diets and additives can break up the stones. The vet may need to remove bladder stones surgically in some cases. The good news is that most episodes of bloody urine typically only last a few days—but the bad news is that cystitis tends to recur. What Can Cause FLUTD To Return? Stress and diet are both potential triggers for recurrence of FLUTD, so talk to your veterinarian about your cat’s home environment and ask for food recommendations. 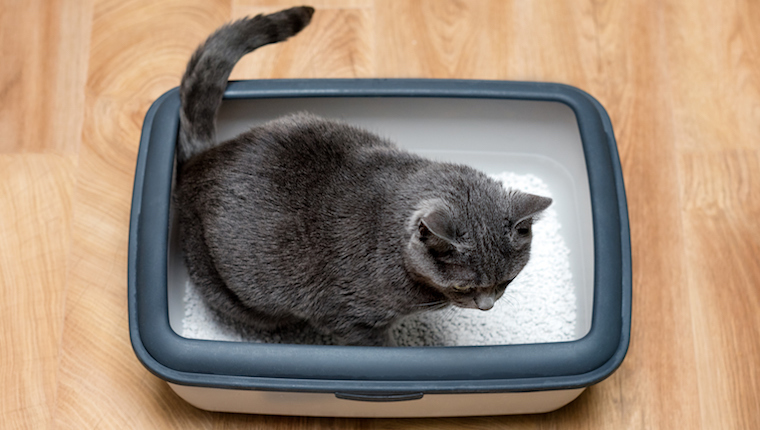 Cats with this problem should ideally be fed exclusively canned food, usually formulated to reduce urine pH and prevent the formation of urine crystals. Have you ever spotted blood in your cat’s urine? How did the vet treat it? Let us know in the comments below!